Pro Boat Clean is a global alliance of high-quality boat cleaning and yacht care companies. We have joined forces for marketing, sales and technical support to provide services and care for boats. By combining our efforts, we ensure our customers receive a long term, unmatched level of service and performance. We provide the highest quality environmentally friendly products and services. Our principals share a culture of cooperation and commitment. We are customer driven and dedicated to the service and support of those customers. Nick Webster is the owner of Pro Boat Clean in Canada and has spent his entire career associated with the sea and boats. He began as a naval officer in the Royal Navy and in the Sultan of Oman’s Navy. Subsequently for 14 years he was a senior manager and director of Sunsail. As part of this role he shipped Sunsail yachts between the Mediterranean and the Caribbean. Between 1999 and 2005 he was Commercial Director of a UK based boat transport company. 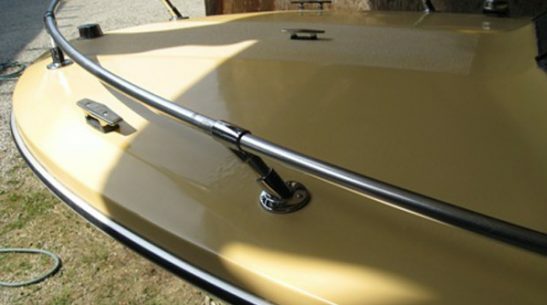 During the course of his yacht shipping projects Nick used specialist boat cleaning services to renovate boats that had been stained during shipping. Inspired by the results Nick moved to BC to operate his own boat cleaning business in Western Canada.